'If Modi comes to power for the second term, then the country would be finished,' Sidhu had said. Katihar: Punjab Minister and Congress leader Navjot Singh Sidhu on Tuesday warned Muslims not to split their votes and instead defeat BJP by voting against it unitedly. "I am here to warn my Muslim brothers. They (BJP) are dividing you. By bringing people like (Asaduddin) Owaisi in here, by making a new party stand for elections, they want to divide your vote for winning. If you people unite and vote unitedly then everything will overturn and Modi will be finished,” said Sidhu. “This will be a sixer. Hit such a sixer that Modi is sent out of the boundary,” Sidhu added by invoking reference of cricket, a sport which he had retired from after playing in the national team. 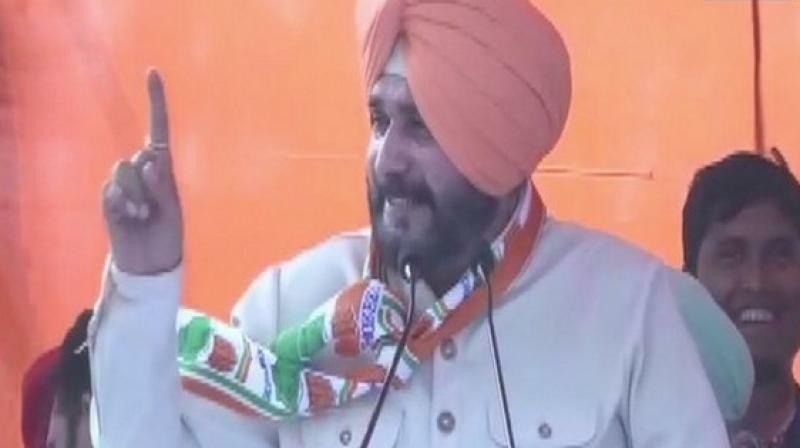 Earlier on April 11, Sidhu had slammed Prime Minister Narendra Modi, saying that the country will get finished if he becomes the Prime Minister for the second term. “If Modi comes to power for the second term, then the country would be finished,” Sidhu had said.